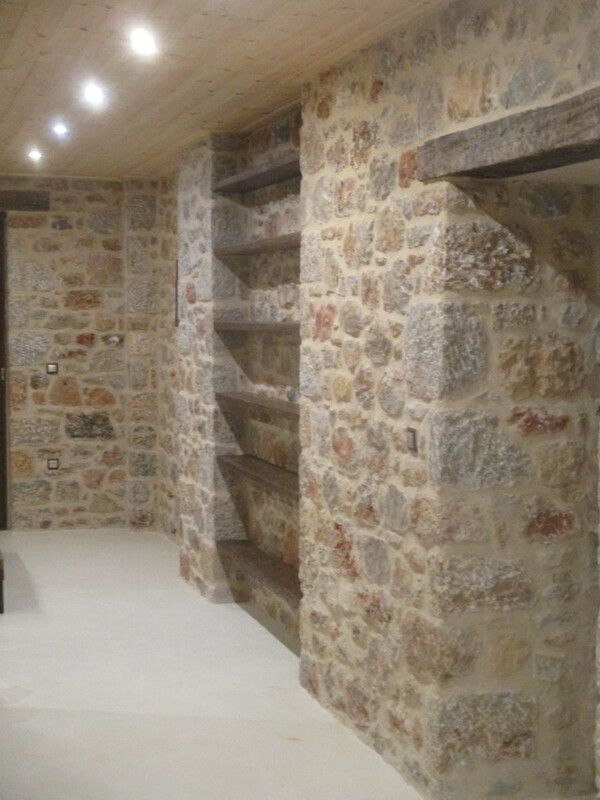 Photo article from the Greek Hovel -don't my new shelves look amazing? The brother of the infamous carpenter was as good as his word, coming back on Friday and Saturday of last week to finish the shelving in the master bedroom, the downstairs of the new wing. 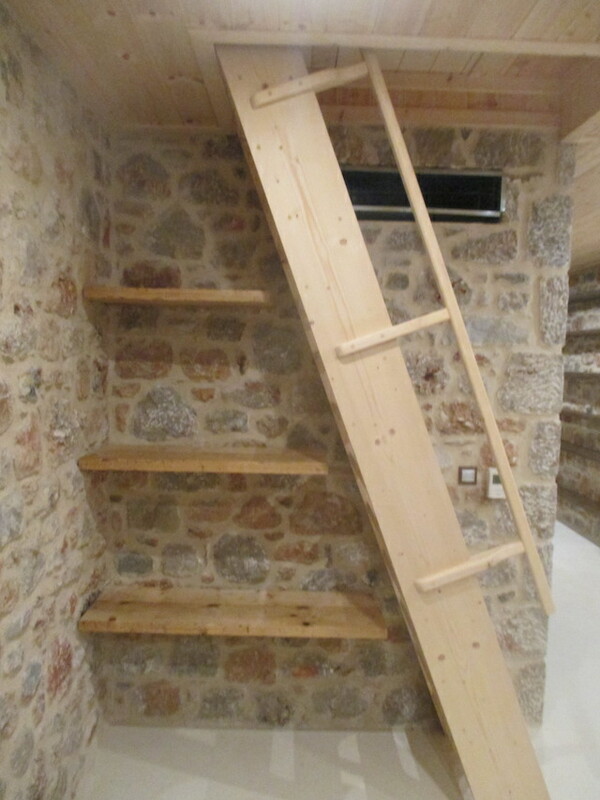 First up were three deep shelves underneath the stairs leading to the living room. These could have been installed earlier but he arrived with wood of the wrong colour so had to be sent back. The idea is that this is where clothes can be stored. You can see above the stairs an open metal box, a vent for heating and air conditioning. It will be covered with a wooden grill in due course. One of the final jobs. 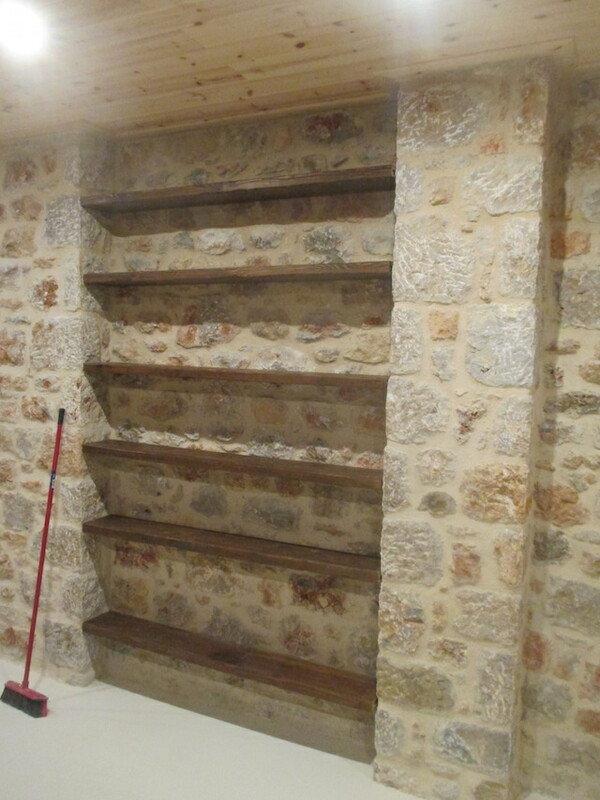 Below are the book shelves in tow of the four insets into the internal facing walls of the master bedroom. Like those under the stairs these are "floating shelves" and, IMHO, look stunning. 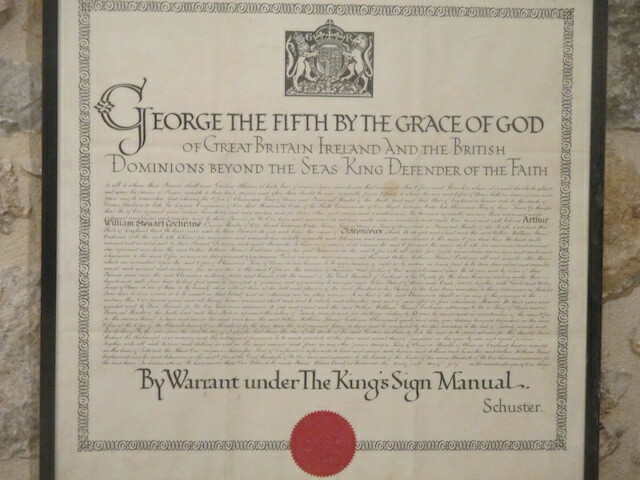 In one of the other inets is a reminder of home, the document given by the King to my great grandfather, Sir Arthur Cochrane when he was made Clarenceux Herald at the College of Arms. 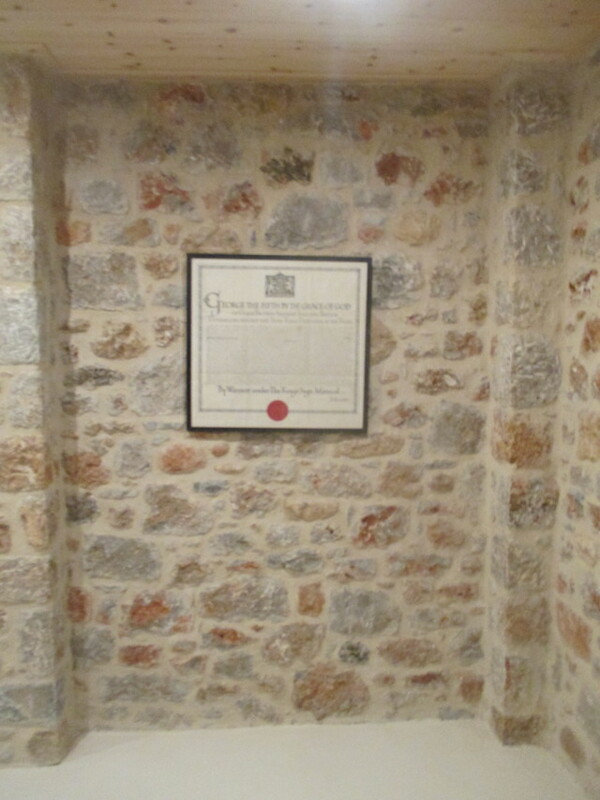 Its sister document when he was given another heraldic post is framed and back in the UK. Incidentally, one of the coats of arms he created was that of my alma mater, Warwick School, something I noticed only relatively recently.